Having lost his left leg 18 months ago, Egypt’s Omar Hegazy decided not to surrender to the hardships that accompany such a loss. Hegazy has decided to learn how to swim; he chose to swim 16 kilometers from Jordan’s Aqaba to Egypt’s Taba for his first adventure. 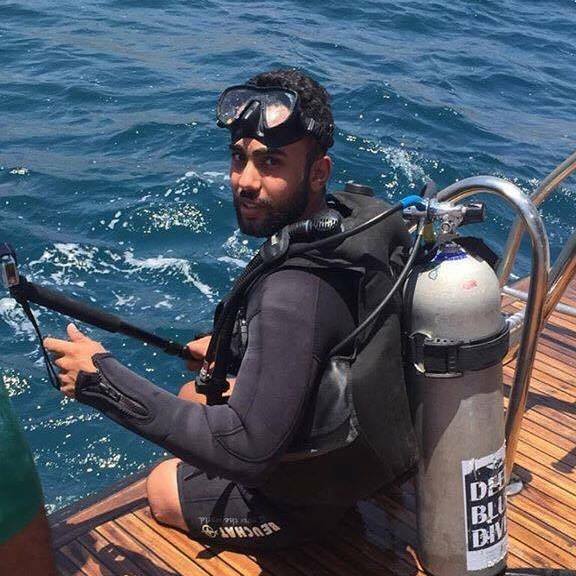 Hegazy will be the first Egyptian swimmer to cross the gulf of Aqaba. While the swim is expected to last for 7-10 hours, Hegazy aims to finish his trip in less than the estimated time. If succeeded, Hegazy will achieve a Guinness record. Hegazy is currently involved in an intense training program that requires 8-10 hours of practice per day prior to his swimming trip that will start on April 28. The main goal of this trip is to boost tourism in Egypt’s Sinai. Hegazy told Egyptian Streets that he has been preparing for this crossing for over a year and a half. “It wasn’t easy; I was injured several times during this span of time and I had to stop because I was overtraining,” says Hegazy. He further added that he has two goals from this crossing. On a personal level, he wants to convey the message that people always have a choice. On a broader level, Hegazy aspires to grab vast media attention to highlight the beauty of Sinai as one of the world’s top tourist destination. Hegazy concluded by saying that he is planning on several crossings. However, currently, he is focusing on this one as it is coming in line with Sinai liberation day that is celebrated on April 25.